The Algerbrush II has a very low torque motor powered by a single AA battery. The burr in this rotary instrument is used as a “brush” rather than as a drill and the rust ring is thus “brushed” from the cornea or sclera leaving a smooth surface, which heals much faster than with other instruments used for this purpose. Algerbrush II foreign body rust ring remover. 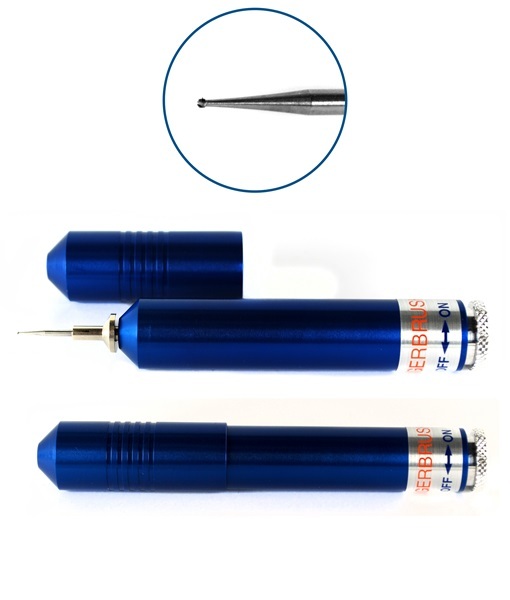 Single speed, motorized, AA battery operated handpiece. 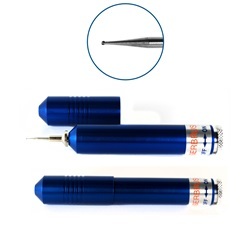 Comes with tip cover, chuck, and 0.5mm burr. Overall Length: 105mm.